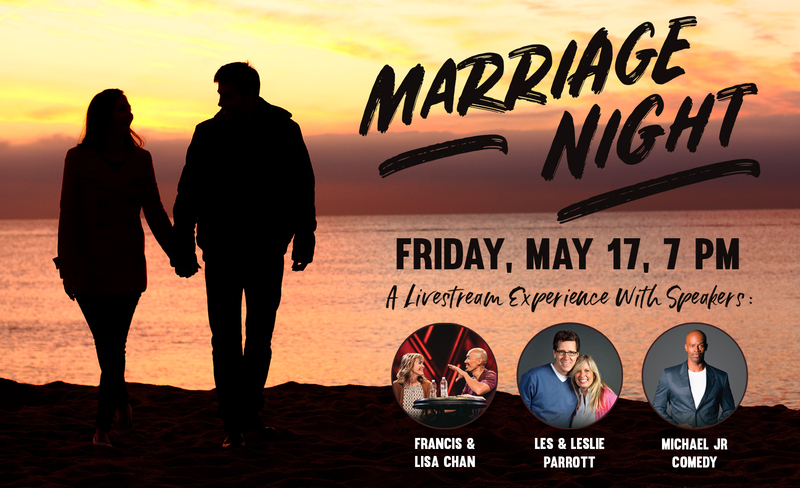 Join us at First Baptist Church of Oceanside as we join thousands of couples around the country for a one-night livestream experience. Laugh and learn with your spouse as you hear from marriage experts and discover how to honor God in your marriage! We will hear from Francis and Lisa Chan, Les and Leslie Parrott, and Comedian, Michael Jr. Dessert will be served. ($15 a person).